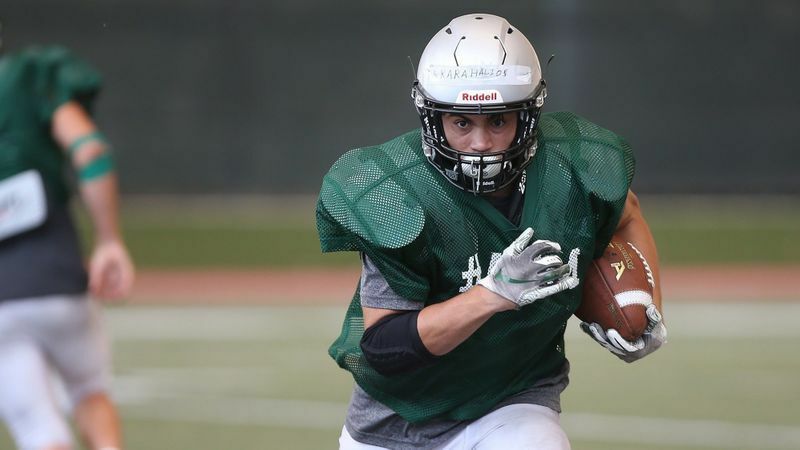 Sage Hill School senior running back Nicholas Karahalios earned the Express League Player of the Year award after leading the 8-man football team to an undefeated league championship in its first season in the league. Karahalios was one of six Lightning players making the first team, and BJ Crabtree took home the Coach of the Year honor. Crabtree, in his third year at the helm of the Lightning, guided Sage Hill to a 10-1 overall record, 6-0 in league, and the quarterfinals of the CIF Southern Section Division 1 playoffs. Sage Hill’s perfect season ended with a 56-7 loss at No. 4-seeded Canoga Park Faith Baptist on Nov. 12.